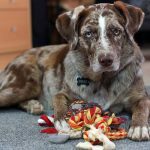 Are you looking for a dog breed great with kids? Below are listed some of the best dogs anyone could ever want! Most people that read this are probably doing a double-take. Did he just say Pit Bulls are great family dogs? Not only did I just say that, they are number one on this list! Also known as the AKC registered American Staffordshire Terrier, the ‘Pitt Bull’ probably has the single worst reputation of any of the 300+ registered dog breeds in existence today. Thanks to overwhelmingly negative media attention on top of remote cases of illegal dog fighting, this wonderful breed is both feared and hated equally worldwide. In some areas, court legislature has even been passed legally mandating all ‘Bully Breeds’ be destroyed. The horrible irony of their situation is: Breeds like the American Pitt Bull Terrier or American Bully are probably two of the absolute best family breeds on the planet. It’s funny, whenever someone starts to bash Pitts, claiming they are so dangerous, they never seem to back up their opinions with any historical facts. Pitt Bulls were first bred for ‘ratting’ entertainment in England after Bull Baiting became illegal, then later used for dog fighting before American Immigration (around 1900). People always seem very eager to point out their dog fighting history. Oppositionists will almost never tell you these early bloodlines were both specifically and very carefully bred for their bite inhibition (ability to control bite pressure) and loyalty toward human handlers. In fact, Pitt Bulls were extremely popular American dog breeds during the early 1900’s, commonly trusted to stay home and play with children unsupervised. They even earned the popular nickname ‘Nanny Dogs’. It wasn’t until after WW2 that their popularity began a decline, and then a drastic one again during the late 1980’s. Their reputation dropped even further with the nation wide media reports of the football star Michael Vick and his illegal dog fighting activities. The American Kennel Club, one of the most reputable kennel clubs on Earth, ranks their American Staffordshire Terriers at a whopping 99% with children! According to the United Kennel Club, the ‘American Bully’ was specifically bred to become the ‘Ideal Family Dog’! Because these breeds were conceived to feel very little physical discomfort, they will both easily and gladly tolerate the many pokings and proddings children offer- if only for the attention! Not only is this European breed the single most popular dog breed in America today, they are absolutely fantastic with kids! 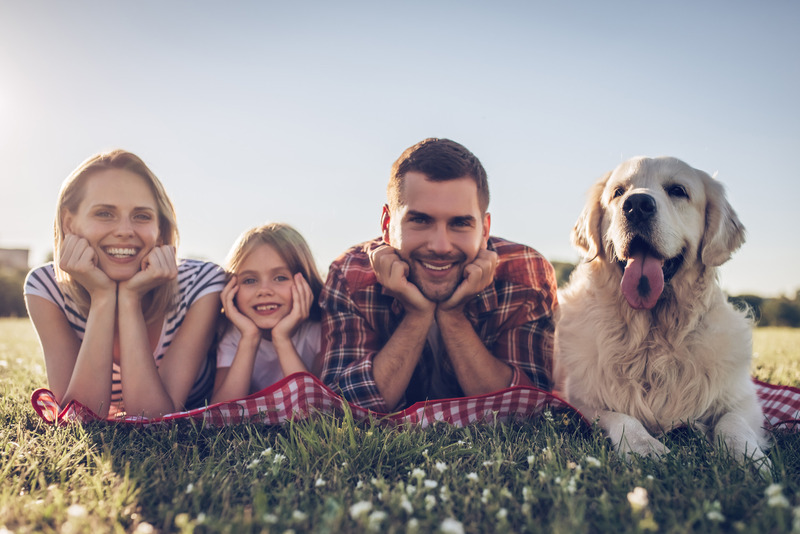 Their overwhelming desire to please yet extraordinarily docile nature and extreme intelligence place Labrador Retrievers high on not only this, but anyone’s list of top dog breeds with kids. The ancestors of what would become today’s Labrador retriever were bred around 1600, growing along with a flourishing Canadian fishing community, before they were incorporated into European breeding programs. In fact, they grew right alongside the giant Newfoundland, both working breeds used for fishing related tasks, and both superb swimmers. Effortlessly able of outpace even the fastest Olympic swimmer, any Labrador is going to absolutely love the water! 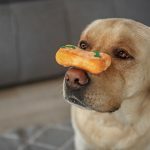 Not only are they fantastic swimmers and great with people, Labrador Retrievers are among the top smartest dog breeds on Earth (currently 7th)! Due to their extreme intelligence and high trainability, Labrador Retrievers are one of the top breeds used for search and rescue & guide dog programs. Another extremely popular dog breed, the Beagle’s small size, eagerness to play at absolutely any time, and joyful demeanor make him an absolutely fantastic choice for kids! If you have a fenced in yard or your child likes being outdoors, this little fellow will keep him entertained for hours, simply content to run circled around your property. The Beagle’s exact origins are shrouded in ancient history, stretching all the way back to the Roman Empire. Fast forward a thousand years and more; most English gentleman had packs of smaller hounds that tracked hare around the 1500’s. In fact, another line of Beagles once existed, so small some say they could fit in your pocket- called ‘Pocket Beagles’! Unfortunately, as the demand for a hunting/trailing dog rose, the demand for these little Beagles decreased to the point of extinction. Many claim the Beagle has the third best sense of smell out of all dog breeds, behind the legendary Bloodhound and Basset Hound. The term ‘Collies’ is often more of a breed classification than a singular breed, containing greats like the genius Border Collie, the Bearded Collie, etc. The standard ‘Lassie’ type Collie is a highly intelligent breed (perhaps the most intelligent on this list, in close competition with the Labrador above), rarely misbehaving, eager to please and highly trainable! Collies get along great with children and absolutely love to please their owners. Because they were originally bred to herd livestock, they might actually try to herd your children! Several owners report finding their collies gently nipping at the heels of their kids. Be wary however; few dogs exist as vocal as the collie, barking at absolutely everything! If you enjoy silence, this breed is by no means the dog for you. But- what kid enjoys silence all of the time, and what parent isn’t used to the playful yelling of a child? This distinctive little guy tops our list as the most intelligent breed here, outshining even the Labrador and Collie (but not Border Collie). These guys come in both miniature and standard sizes, great for kids with allergies because they shed very little! 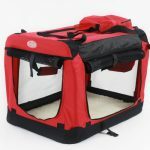 The standard size is very obedient, extremely smart, easily trainable and adventurous- great for kids that like to explore! Miniatures, on the other hand (like many toy breeds) tend to devote themselves toward one person. Even so, miniature Poodles are still great with other pets and kids! 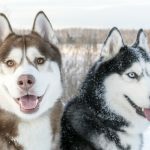 Believe it or not, a dog sled musher decided to enter the 1000 mile cross-country Alaskan Iditarod in 1988 with an entire team composed of Poodles! Unfortunately, the dogs didn’t perform well, many having to be dropped off along the way due to weather related injuries. It was because of this individual the rule was made- only northern breeds are allowed to participate. Advice and guides for pet owners. Check out the latest posts on our pet blog and drop by the comments sections to let us know what you think.